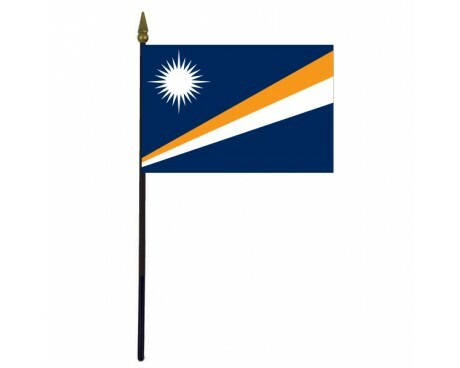 Marshall Islands Stick Flag - 4x6"
The Marshall Island flag bears almost no resemblance to any historical Marshall Islands flag. 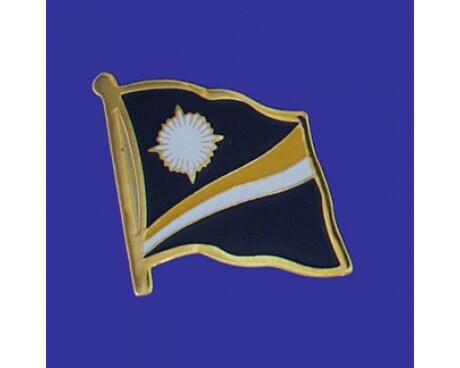 Most of those flags were colonial flags which also represented other nations, while the modern flag of the Marshall Islands focuses on the unique features of the country itself rather than any foreign associations. 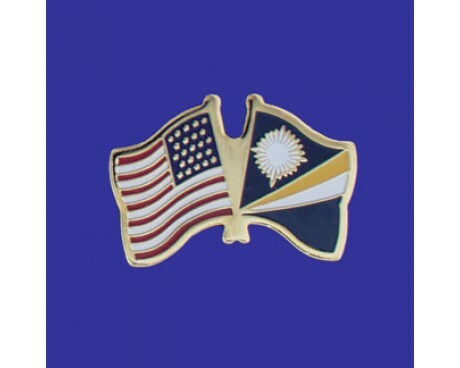 It has one of the most distinctive and unique designs in the world, which makes it very easy to recognize even when it is surrounded by dozens of other flags. 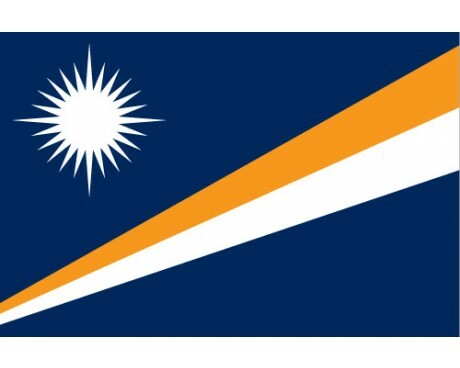 The current Marshall Island flag features a dark blue field that is bisected by a pair of diagonal stripes of orange and white that grow out of the lower-hoist corner of the flag. The flag's canton contains a white star with four large rays and twenty little rays. Those rays represent the electoral distracts that make up the country, with the four largest rays serving as symbols of the centers of the nation's culture. The flag's blue field represents the ocean that surrounds the nation, while orange stripe represents courage and the white stripe represents peace. The two stripes also represent the duality of the sunrise and sunset over the islands. The first Marshall Islands flag was the flag of the German Empire, which came into use in 1878 and fell out of use in 1894. The nation did not gain a new flag until the end of the second world war, at which point it became part of the Pacific Trust Territory. It used several different flags during that period, and many of them overlapped with each other. The first flag to be adopted was the flag of the United States of America in 1944. The flag remained in use until several years after the Marshall Islands gained their full independence. The islands also used the flag of the United Nations between 1847 and 1965. The modern flag of the Marshall Islands was adopted when the nation gained its independence in the modern era. The nation's initial first lady, Emlain Kabua, designed the flag for her country. The government adopted it in 1979, and has used it without any changes since that time.